Capsaicin is essentially the ingredient that makes chili peppers hot. When you bite into any kind of hot pepper and you get that kick on the tongue, love it or hate it, it’s the fault of capsaicin. It produces a burning sensation when it touches mucus membranes, which is the reason why so many people love to put it in their food. 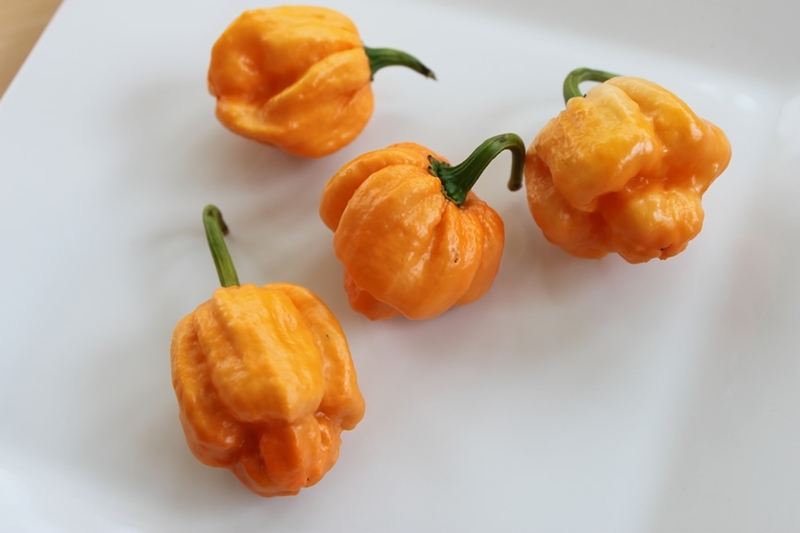 It’s also the reason why you should be very careful with your hands after you are done handing any sort of hot pepper – most people have made the mistake of rubbing their eyes after touching a hot pepper at least once, but usually you won’t do it again! Of course, if the capsaicin level is too high, physical skin can be burnt away by it as well. So if you handle a large quantity of hot peppers for a long period of time, it’s likely a good idea for you to wear gloves as you do so. In the event that the capsaicin levels get unbearably high, the best remedy is cold milk. Obviously, this works best if you’ve overloaded yourself by eating too much of it. If capsaicin comes in contact with other areas of the body, try a mild sugar solution. Capsaicin is delicious, but be careful when you handle it!